Week 18 is done and scrapped! You can read more about our week below in the journaling from the pages...it was sort of all over the place. Photography Tip: Let your kids take photos. Sometimes they'll capture things you wouldn't think about photographing. Emmie took a photo of a shirt I bought for Matthew. I didn't think it was that significant at the time, but apparently she did. When I was scrolling through my photos at the end of the week, I was so happy to see it. I'm so glad he'll be a part of this week's Daily Life page. We'll be bringing him home soon, and he'll be in every single one of our weekly pages. You better believe it! 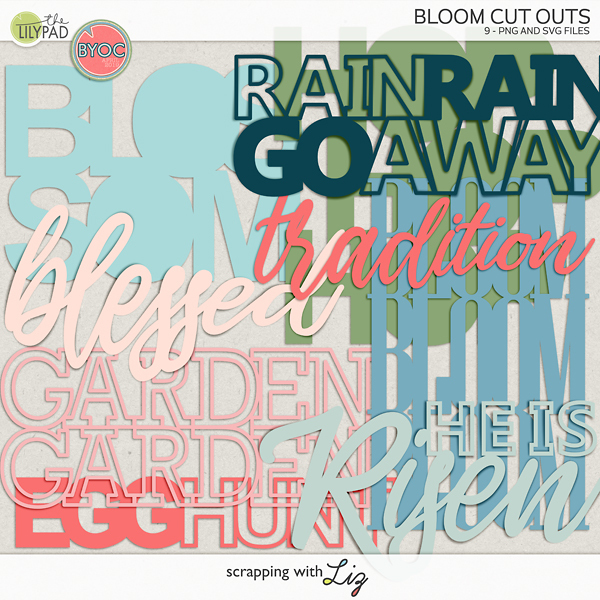 Scrapbook Tip: Pick one or two elements on your page and play with the shadow a bit. It will give it a nice little extra touch. I like to play with the shadows of the ribbons on my pages. On the left hand page below I played with the ribbon and the corner of one of my photos. I have a shadow tutorial here. Tiff also has a great shadow tutorial on her blog. Journaling: This week’s page is all over the place. On Sunday afternoon the girls enjoyed freezer pops and playing with sidewalk chalk. On Saturday, Shawn and I hiked Pinnacle Park. Saturday night we played games. It was funny listening to the stories they made with the Tell Tale game. Journaling: Tuesday night we were feeling restless so we went for a walk on the Greenway. On Thursday I bought a shirt for Matthew. It was a rough week of waiting for our I800 approval and this cheered me up a bit. On Friday night we went out with friends and then had a mad game of Rummikub. These other two pictures were taken one day while we were doing school work. It was a nice day, so we did as much as we could on the porch. oh my gosh ... i think i may use a woodgrain for my background on ALL my pages ... SO PRETTY! 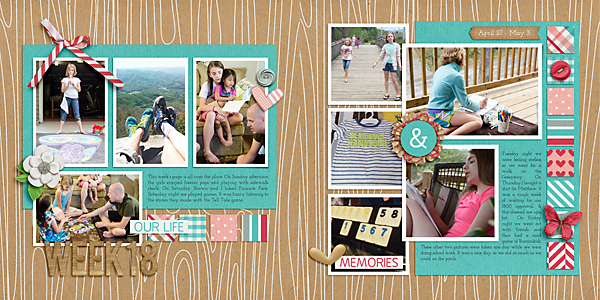 The JC template is terrific - amazing how you can get so much in such a small space - I love the mini banner & the tab! Thanks for sharing! 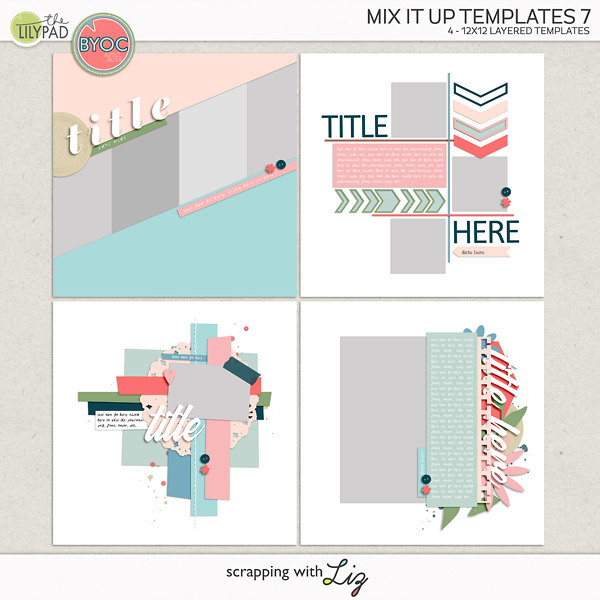 Thank you Liz for another great journal card template!!!! I really like how you're doing your pages! They're clean and simple, yet fun and creative. 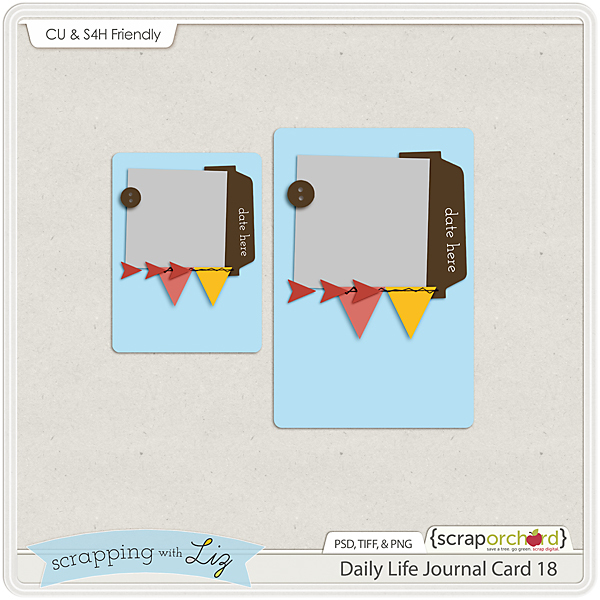 :) Thanks for yet another awesome journal card template! these are all so great, thanks so much! Thank you for the JC template. Neat journal cards :) Thank you, Liz!